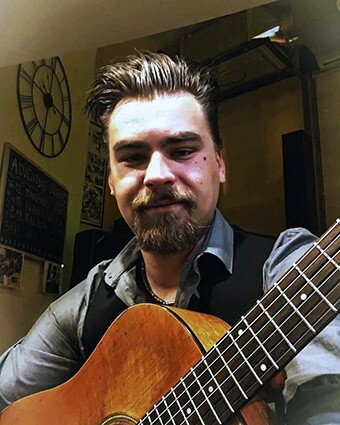 IVAN RADEKA – …have been playing as a Guitarist/Vocalist professionaly for more than 10 years. He went to musical school and finished 6 years (elementary musical school) as a Guitarist by the age of 15. Since then he been playing various styles of music on guitar and expanding my knowledge as a musician. Also while playing and practicing his instrument he practiced his voice and singing. Over the years he played in different bands. In some he only played the guitar, in other he also worked as a lead singer. In his repertoire he have more than 300 songs of various musical styles (country, rock, blues, pop, evergreen, soul), all of which he regularly play on his gigs all the time. Over the summer season in Croatia he has gigs every day for more than 3 months so he can assure that he’s in excelent shape and condition so he won’t be having a problem playing and singing every day.